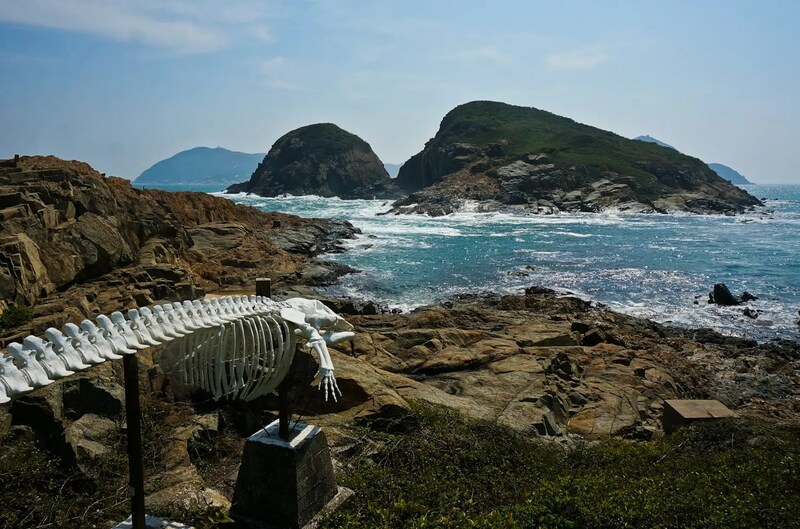 The whale bone at The HKU Swire Institute of Marine Science is the landmark of Cape d’Aguilar Peninsula, located at the southern tip of Hong Kong Island. It is the 1st marine reserve area in Hong Kong where commercial fishing and any recreational activities are strictly prohibited. The coastline of Cape d’Aguilar includes a variety of intertidal and shallow subtidal habitats including exposed and semi-exposed rocky shores, large rock pools and subtidal rocky reef with a high diversity of hard corals and coral fishes. The marine reserve is closest to Hong Kong Trail Stage 8. Hikers visiting this area should keep minimal disturbance to the nature. Great photo – we are interested in using it in the next issue of Southside Magazine. Please let me know if you would grant us permission.